Albeit Vancouver’s rank as one of the most livable cities in the world, it is the second most expensive place to live in Canada. With expensive house prices in Vancouver, renting has become a more viable option. The terms of the contract are 12 months and most homes are unfurnished. Monthly rent for 1 bedroom flat with an attached bathroom costs C$ 875 – 400 while monthly rent for a 2 bedroom fully furnished flat costs C$ 12,950 – 1495, while monthly rent for a 3 bedroom fully-furnished flat cost C$ 24,995 – 1895 or higher. Expats can check rental vacancies online using sites such as the Province, the Vancouver Sun and community newspapers such as van.net and renthome.ca. Among Canadian cities, Vancouver has the least affordable housing. Buying a two storey home in Calgary can only cost CAD$427,067 compared to CAD$917,500 in Vancouver. The average cost per square meter of purchasing apartments in the districts of Kitsilano, West Point Grey, West End, Yale Town, Coal Harbour and Gastown is approximately USD$6,751 for 50-square meter apartment, USD$7,224.00 for an 85-square meter apartment, USD$8,280 for a 120-square meter apartment and USD$12,492 for a 200-square meter apartment. BC Hydro is one of the largest electric utilities in Canada that sends electric bills every two months. Costs of electricity bills vary on the size of one's home and the usage of heater. If the heater is powered by electricity, expect to get a bi-monthly bill of CAD$120-$600. Terasen Gas is a private company that supplies residential gas in Vancouver and is regulated by British Columbia Utilities Commission. The cost of gas is approximately CAD$50-$100.00 per month. Bell Canada Shaw and Telus are some of the satellite and cable providers in Vancouver. Cable prices vary depending on the packages; prices can start at CAD$30 monthly. Internet connections in BC are mostly high-speed broadband or DSL connections. Costs for monthly Internet are at CAD$40- $60. Expats will find hundreds of Internet cafes in downtown Vancouver where rates range from CAD$2-$4 per hour. For a dozen of eggs (large), the cost is around CAD$3.00 (USD$2.83) while a kilogram of white loaf bread costs CAD$3.50 (USD$2.36). 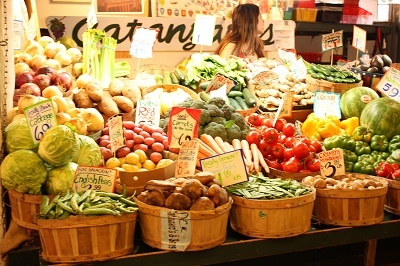 Vegetable such as tomatoes, lettuce, sprouts and spinach cost around CAD$5.00 (USD$4.72) per kilogram. Flour and sugar are at USD$4.00 (USD$3.77) per kilogram. A 125 grams of instant coffee costs CAD$0.75 (USD$0.71) and a 500 grams ground coffee costs CAD$5.00 (USD$4.72). Dining out in a restaurant is pricey; for a three-course meal, get ready to pay around CAD$50.00 (USD$47.15) with one daily meal in the business district costing C$19 and a dinner out for two in Italian restaurant with wine and dessert costing C$106. Fast food meals are still a cheapskate choice at CAD$6.00 (USD$5.66) with 1 Big Mac Meal costing C$50 – 80. When dining in restaurants, there is no service charge, but tipping is encouraged. Vancouver's comprehensive public transportation is managed by Translink, which operates an integrated bus system, rapid transit (SkyTrain) and passenger ferry (SeaBus). A monthly ticket for public transport costs C$98 while one inner city bus ticket costs C$2.75 - 3.75. Owning a car in Vancouver can be expensive. Add to that the increasing price of gasoline that ranges between CAD$1.20 to CAD$1.49 per liter depending on the octane preferred.